The name of the company is LUMINANCESS COMPANY LIMITED. The Registered office Address: Road-0, Block-D, Rampura, Banasree, Dhaka. To carry on the business of soap, Shampoo, Conditioner, Tooth paste, Hair gel, Perfume, Scent, Body spry, Face Cream, Lotion, Facial Product and all types of Cosmetics product Production, import and export. To carry on the business of Housing, furniture, fish farms, medical services, transportation, land purchase sales, cement factory, Auto rice mills, poultry farms, dairy farms, Contracting business, A auto bricks, All kind of mobile banking Distributors, All kind of mobile banking agent. 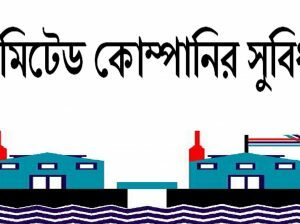 To carry in Bangladesh or elsewhere trade, business manufacture, and to act, as business agent, managing agents, selling agents, local agents, sub-agents, sole agents, handling agents, commission agents, indenting agents, indenters, stevedores, brokers for the benefit of the company. To engage in the businesses related to the activities of real estate developer, land developer, satellite city developer, construction contractor, housing solution provider, and collecting rents and to engage in and all the business relating to the services of landlords, Garments business, Affiliate Marketing, Car Business, Tea Business, Restaurant Business, Micro credit business, software business, Food Business, Transportation Business. .
To carry on the business and to act as Merchants, Traders, Indenters, Commission Agents, Shipping Agents, Cleaning and Forwarding Agents, Distributors, Export and import business, Stockiest and sales of any product of any Foreign or local company in Bangladesh or elsewhere of the world. To carry on any and all the permissible trading business of importers, exporters, stockiest, and general order suppliers, food and beverage product & equipment supplier, and to act as traders, importers, exporters, of any commodities representation of overseas and Bangladesh business organizations, commission Agents, clearing forwarding Agents, buying and selling agents, foreign brokers as the company may think fit, Online shopping, Outsourcing business, Higher Education business. To carry on the business of marketing, import, export, manufacturing, assembling, installing, repairing, buying, selling in Bangladesh & abroad of all kinds of Aluminum/ Steel/ electrical/ electronic/ digital products, furniture and sorts of allied products, peripherals including electric/ electronic/digital equipment like transformer, electric iron, electric switch, IPS, UPS, computer, computer monitor, computer software, networking accessories, cooling tower, chiller, air handing unit, fan coil unit, refrigerator, television, air condition, oven, water pump, motor, power generator Diesel/Gas, vertical lifter, escalators, industrial exhaust fan, humidifier, de-humidifier, digital camera, industrial compressor, electrical cable, energy power light, optical fiber, telephone. The liability of the members is limited by share. The Authorized Share capital of the company is Tk. 500000.00 (Five lakh) only divided into 5000 (Five Thousand) ordinary shares of Tk. 100/- (one hundred) taka each with power to increase and reduce the capital and to divided the share in the capital for the time being into several classes and to attach thereto respectively such preferential qualified deferred or special right or privileges or conditions as may be determined by or in accordance with the articles of the Company and to very or modify of abrogate any such rights privileges and condition as may be for the time being provided by the articles of the company. পাওনা টাকা কিভাবে আদায় করবেন?